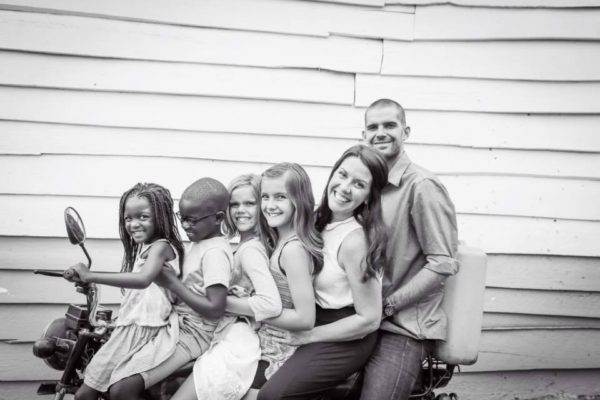 In January of 2013, during a lunch conversation with a friend and pastor to missionaries, the Holy Spirit gripped Nathan Metz’s heart and placed a clear and certain call to the work being done in Uganda. Nathan called Jade as soon as he could. Since that moment Nathan and Jade have continually walked step by step in faith and enjoyed the gentle confirmations God has blessed them with. Shortly after, Nathan and Jade were officially accepted as missionary disciples to Uganda through World Gospel Mission, a 103 year old mission sending agency. Resonance has enjoyed the opportunity to partner with Nathan & Jade since just before their first trip to Uganda, and we have become close friends. God is doing amazing things through their family, and we are so excited to be a part of it with them! You can also give directly to Jade’s special project, the Dignity Project, at this link.